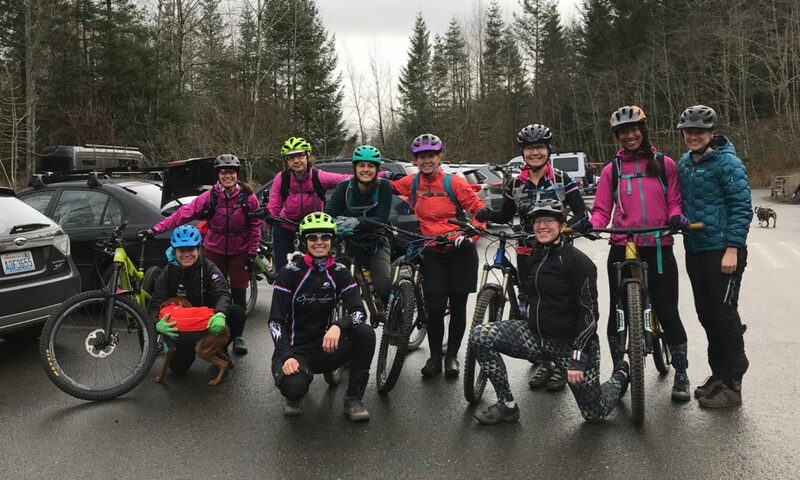 Spokeswomen Racing has been active despite record rainfall in February and March. Tracy, Barbara, Heather, and Tara tested out their legs at some early season road races, while Maura sought out some wet dirt (aka mud!) for some off-road bike racing. Maura placed 5th overall (Cat 2) in her first mountain bike race (Henry’s Ridge by BuDu Racing). She followed this up with a 2nd place overall (Cat 2) the following weekend at the very muddy Port Gamble race. Awesome work, Maura!